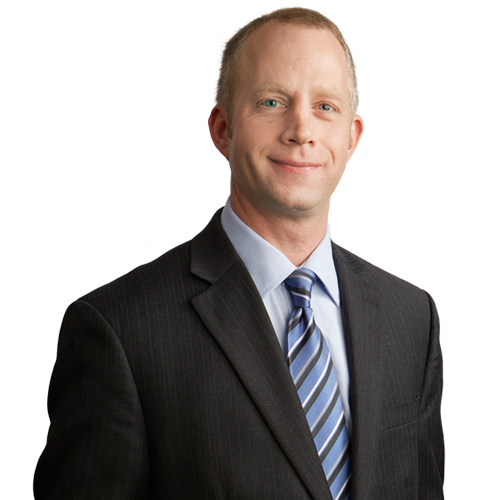 Mike Herzog concentrates his practice on a variety of tax matters and employee benefits counseling. Mike’s tax practice is informed by his experience as a CPA. Prior to joining the firm, he served as a tax consultant for a Big Five accounting firm. He assists clients with the tax implications of business restructurings, international transactions, and mergers and acquisitions, and advises clients on multistate tax matters and federal, state, and local taxation. Mike also assists clients with due diligence reviews; securing federal and state tax incentives for the production and conservation of energy and natural resources; technical research and the formation of nonprofit entities; and the drafting of tax memoranda, tax return compliance, and tax return reviews. Within his employee benefits practice, Mike advises clients on tax-qualified retirement plans, executive compensation matters, and the tax implications of a variety of employee benefit programs. Mike is a member of the firm’s Regulated Substances Group, a multi-disciplinary team of lawyers and government affairs professionals who advise clients establishing and operating businesses involved in the financing, manufacturing, processing, distribution, marketing, and retail sale of marijuana for medical use where authorized by state law. He helps client navigate tax and other complex legal and regulatory issues surrounding the fast-growing business of medical cannabis. Mike previously served as a member of the firm’s Associates Committee. Successfully assisted multiple clients with making Pennsylvania Department of Revenue Tax Amnesty Program disclosures for sales/use tax, capital stock tax and gross receipts tax. Assisted client with the Massachusetts gross receipts taxation upon the distribution of electricity. Assists clients with the tax implications of business restructurings, international transactions, mergers and acquisitions, due diligence reviews, technical research and drafting of tax memoranda, tax and information return compliance, tax return reviews, and general tax advisory services. Advises clients on the many aspects of multistate tax matters for large organizations and international airlines, including income and franchise tax, sales and use tax, and payroll tax matters. Advises individuals, business owners, and executives in various aspects of federal, state, and local taxation, including client representation before a variety of tax jurisdictions for audit defenses, settlement representation, tax credit litigation, administrative appeals, and refund claims. Assists clients in securing federal and state tax incentives for the production and conservation of energy and natural resources, including oil and gas production from the Marcellus Shale. Advises clients with making IRS Offshore Voluntary Disclosure Initiative (OVDI) submissions and annual Reports of Foreign Bank and Financial Accounts (FBARs). Assists clients with tax return compliance matters, such as the preparation of black lung trust tax returns, individual income tax returns (resident and non-resident), and returns for private foundations. Represents clients in summons enforcement tax shelter matters and criminal tax investigations for alleged tax evasion and tax fraud allegations. Assists clients in the formation of nonprofit entities, advises nonprofit board of directors as to various tax matters, assists clients in fulfilling their tax compliance filing obligations, and resolves resolves tax controversies for numerous nonprofit entities. Advises clients in the employee benefits area with an emphasis on tax-qualified retirement plans and executive compensation matters, particularly the treatment of employee benefits in merger and acquisitions, the various uses of employee stock ownership plans (ESOPs), qualified and nonqualified stock options and other equity-based compensation vehicles, and tax rules regarding deferred compensation. Assist public sector clients in designing and maintaining compliance with employer-sponsored health and life insurance plans and disability benefits, as well as defined benefit pension plans and defined contribution plans, including profit-sharing, thrift savings and stock ownership plans. “How does the Tax Cuts and Jobs Act impact your construction business?” Eckert Seamans’ Construction Law Update, Spring 2018. “Legal Issues Impacting Mcare Refund Assignment and Claim Decisions,” Quick Consult, a publication of the Pennsylvania Medical Society, March 2015. “Marcellus Shale Impact Fee Alert – If you Drill It, You Will Pay,” Eckert Seamans’ Energy Alert, February 2012. “Sales tax savings upon registering motor vehicles in PA,” Eckert Seamans’ Construction Law Update, Spring 2011. “Independent contractor/worker misclassification for the construction industry,” Eckert Seamans’ Construction Law Update, Fall 2010. “Tax considerations in construction bidding,” Eckert Seamans’ Construction Law Update, Fall 2008. “Pennsylvania business privilege tax applies to job-site trailers,” Eckert Seamans’ Construction Law Update, Winter 2008. “Marcellus Shale Impact Fee Alert – If You Drill It, You Will Pay”	, Eckert Seamans' Energy Alert #2, February 2012. Radio interview with Lynn Hayes-Freeland about tax filing tips for retirees, 1020 KDKA, April 2, 2019. “2019 Tax Filing Tips for Retirees,” U.S. News and World Report, January 2019. “Racing the tax law changes: All they want for Christmas is a speedy divorce,” Pittsburgh Post-Gazette, December 2018. “How Does Tax Reform Impact You and Your Business?” presenter, Eckert Seamans’ Continuing Legal Education Seminar, August 2018. “The Tax Cuts and Jobs Act,” presented to the Business Forums International Group of Pittsburgh Professionals, February 8, 2018. “ACA Reporting and Cadillac Tax,” co-presenter to the certified public accountants of Grossman Yanak & Ford LLP, August 26, 2015. Mike coaches youth soccer for the North Allegheny Soccer Club and is a Little League baseball coach for the Ingomar Franklin Park Athletic Association. He is also a member of the National Eagle Scout Association and enjoys playing golf in his free time.